Rodney Linares, 41, enters his 23rd season in professional baseball, 21st as a coach or manager, and his first assignment at the major league level. ST. PETERSBURG, Fla. — The Tampa Bay Rays have hired Rodney Linares as third base coach as part of Manager Kevin Cash’s coaching staff for 2019. Linares, 41, enters his 23rd season in professional baseball, 21st as a coach or manager, and his first assignment at the major league level. He joins the Rays organization from the Houston Astros, where he spent the past 21 seasons. In 2018, he managed Triple-A Fresno Grizzlies to an 82-57 (.590) record, winning the Pacific Coast League North Division title, and was named the PCL’s Best Manager Prospect by Baseball America. He is currently managing Águilas de Cibaeñas in the Dominican Winter League. He becomes the seventh third base coach in franchise history, following Greg Riddoch (1998-99), Billy Hatcher (2000-01), Terry Collins (2001), Tom Foley (2002-14), Charlie Montoyo (2015-17) and Matt Quatraro (2018). Quatraro was promoted from third base to bench coach on Oct. 31, replacing Montoyo. Prior to Fresno, Linares managed Double-A Corpus Christi (2015-17), Class-A Lancaster (2012-14), Class-A Lexington (2010-11) and Rookie-level Greeneville (2007-09). In his 12 seasons as a minor league manager, he compiled a 761-694 (.523) record and guided his teams to the postseason in six of the past seven seasons. He led Corpus Christi to the two winningest seasons in franchise history (2015-16), won a pair of California League championships (2012, 2014) and earned each league’s Manager of the Year honors (2012, 2015). 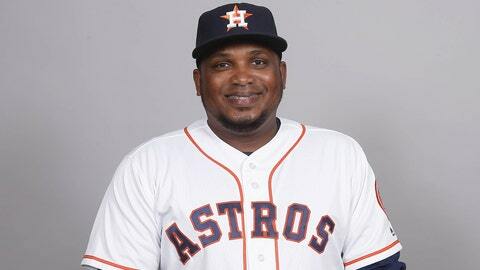 The former infielder played parts of two seasons in the minors in the Detroit Tigers (1997) and Astros (1998) systems before beginning his coaching career in 1999 at the Astros Dominican academy. In 2005, he was appointed hitting coach at Lexington. Linares and his wife, Rosanna, have two children, Steven and Ryan, and reside in San Pedro de Macoris, Dominican Republic. His father, Julio Linares, is the Astros senior advisor for Latin American development and has been part of the organization since 1973. On Oct. 25, major league field coordinator Rocco Baldelli and Montoyo were hired to manage the Minnesota Twins and Toronto Blue Jays, respectively. That day, the Rays became the first club to have two major league coaches hired away as managers in the same offseason since the Florida Marlins, shortly after winning the 1997 World Series. The expansion Tampa Bay Devil Rays hired Marlins pitching coach Larry Rothschild and the Chicago White Sox hired bench coach Jerry Manuel.